Network for New Music showcases the music of the Millennial generation featuring five works by some of the most talented composers of this generation. The two featured commissioned works include: Reflections #2 (viola, cello, piano) by Rene Orth, and a new work for violin and cello by composer Joshua Hey. The program takes further shape with: Sky Macklay’s bold and humorous FastSlowHighLow for violin and piano; the Philadelphia premiere of Charles Peck’s piano quartet Sunburst; and a performance of erebus, an evocative work for clarinet and piano, by the critically acclaimed pianist and composer Andrew Hsu. 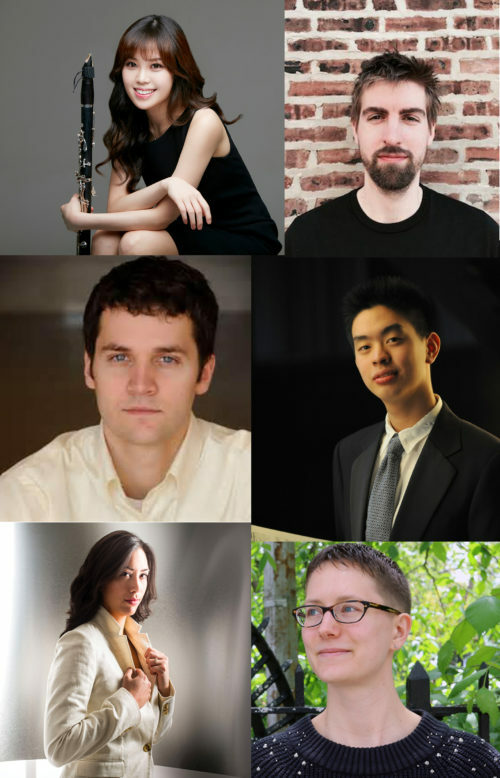 Guest artist performances by clarinetist, Yoonah Kim and pianist, Andrew Hsu.